Since past several decades, Dubai is leading the economy in GCC despite being deprived of oil and energy. Dubai achieved this status mainly due to business and tourism industry and its reliance on diverse economy for long term. The trend is not going to change in the near future also and it will rather accelerate due to new projects devised by the Dubai government and the hardships faced by most of the oil-based economies of Gulf. This is also mentioned in a recent report by global trade group. 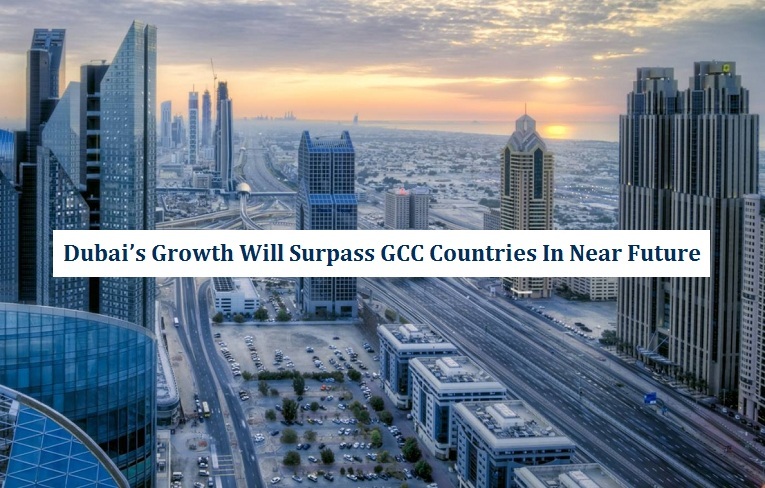 According to the Institute of International Finance (IIF), the growth rate of Dubai remained 2.9% in 2016 that increases to 3.2% in 2017 and will retain its growth at 3.5% in 2018. This forecast is quite similar to that of IMF that projected the 2.8% economic growth of Dubai in 2016 will reach to 3.2% in 2017. IMF also predicted around 4% growth for Dubai in 2018. IIF says that diversified economy is the main reason of continuous growth of Dubai while retail trade, transport and tourism will play important role in the growth of Dubai’s economy. IMF also described the upcoming Expo 2020 as an important factor for the future growth of Dubai. These two international institutes mentioned diverse economy and upcoming Expo 2020 as main factors behind expected economic growth of Dubai. It is also evident from recent reports. As far as tourism is concerned, the first nine months of 2017 saw increase of 7.5% visitors as compared to the tourists visited in the same nine months of 2016. It makes Dubai the 6th most visited city in the world, as told by the Euromonitor International. It is also expected that number of tourists in 2017 will increase by 11.2% to 16.56 million as compared to 14.9 million tourists in 2016. The government of Dubai is completely aware about the importance of Expo 2020 on the economy of the emirate and it is spending heavily for the successful organization of the expo. Even in 2017, the development of Expo 2020 has positive effect on economic growth of Dubai’s real estate and construction sector that is also expected to increase in 2018. The implementation of value added tax (VAT) from 1st January 2018 and the fame of being one of the most peaceful cities in the region are also important factors that will contribute in the continuous economic growth of Dubai. These recent reports by IIF and IMF are clear indications for investors and entrepreneurs that oil and petroleum crisis will not impact Dubai at all and its diverse economy will boost further in the coming years. If you are interested in establishment of business in Dubai then it is completely secure and beneficial to do so in the coming future. We at Riz & Mona Consultancy can help you in all stages of formation of a company or business in Dubai as we have experience of several years in providing assistance for business set up in Dubai and other emirates of UAE. You can contact us via our WhatsApp # 971-56-9971225.